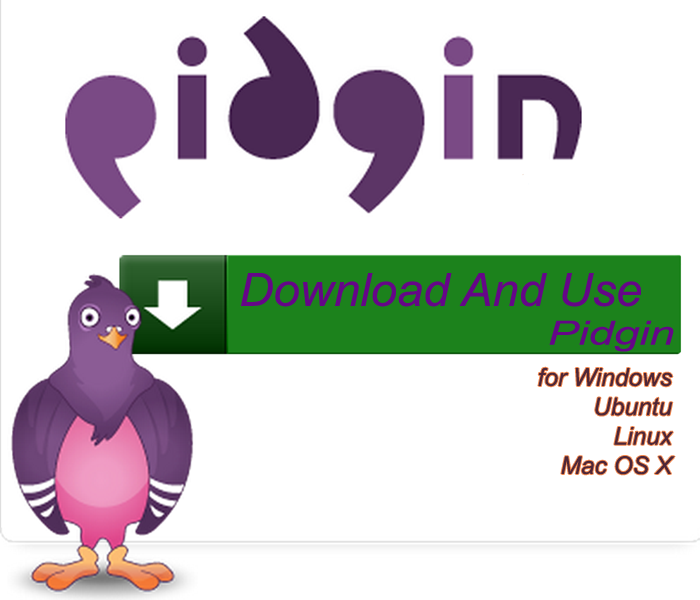 Pidgin is a user friendly easy to use free multi-chat client messenger with work on Ubuntu, Other Linux, Windows and MAC OS X too. Millions of chat client user used pidgin for free. It supports most of the famous services like AIM, Bonjour, Gadu-Gadu, Google Talk, Groupwise, ICQ, IRC, MSN, MXit, MySpaceIM, SILC, SIMPLE, Sametime, XMPP, Yahoo!, Zephyr and more. Pidgin supports file transfers, buddy icons, away messages, and more, and you can extend it’s standard features using pidgin plugins. Pidgin 2.10.7 contains some security update (check change security updates here) for users of MXit, Sametime, and anyone connected to a public network (unencrypted Wi-Fi, universities, offices, etc). Pidgin also contains updated SSL certificates to fix sign in problems with MSN. It support many more official and third party plugins. To know more about pidgin plugins and for download go here. Anda baru saja membaca artikel yang berkategori Messenger / OS Tricks dengan judul Pidgin Multi Messenger Update Version 2.10.7 Free Download. Anda bisa bookmark halaman ini dengan URL http://newhardwaresoftware.blogspot.com/2013/02/pidgin-multi-messenger-update-version.html. Terima kasih!